After failing to pass last year, a new version of Georgia’s medical marijuana legislation has been formally submitted to the House Chamber on Monday, January 26th. 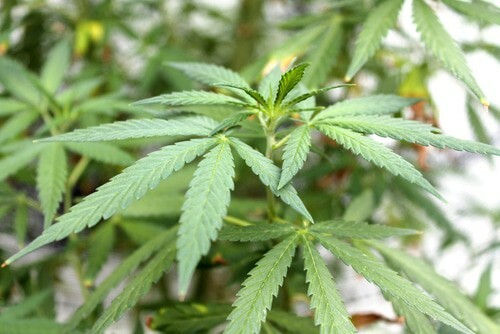 According to Representative Allen Peake, there are at least 17 “medical refugees” from Georgia – families who feel they need some form of medical marijuana and have moved to Colorado or California to receive legal treatment. “This is not politics, this is kids’ lives,” said mother Katie Harrison, whose 2-year-old son, Hawk, suffers from multiple seizures a day. Chronic seizures are one of the conditions – along with chronic pain disorders and appetite-suppressing disorders like fibromyalgia, multiple sclerosis, AIDS, and cancer – that leads many patients to seek medical marijuana prescriptions. Baggarly’s family were one of many families who came to Atlanta to watch Peake file the new Georgia medical marijuana bill. “I’m hopeful we’re going to move it quick and have it on the governor’s desk in two weeks,” Peake said. The bill would grant immunity for families like the Harrisons and the Baggarlys, who seek medical marijuana prescriptions for their children, usually in the form of CBD oil or cannabidiol, which is the compound in marijuana that can, many believe, treat pain and appetite issues without causing a high. THC is the compound in marijuana that recreational users seek. “To show the lunacy of a federal law that I can be in possession of a legal product in Colorado and I can be in possession of a legal product in Georgia but I’m gonna get arrested because I’m driving through Kansas,” Peake said. “I find that very discouraging for families that don’t have access and don’t qualify for the trials to have access. We need it grown here in Georgia so they’re not having to take a risk,” Baggarly said.